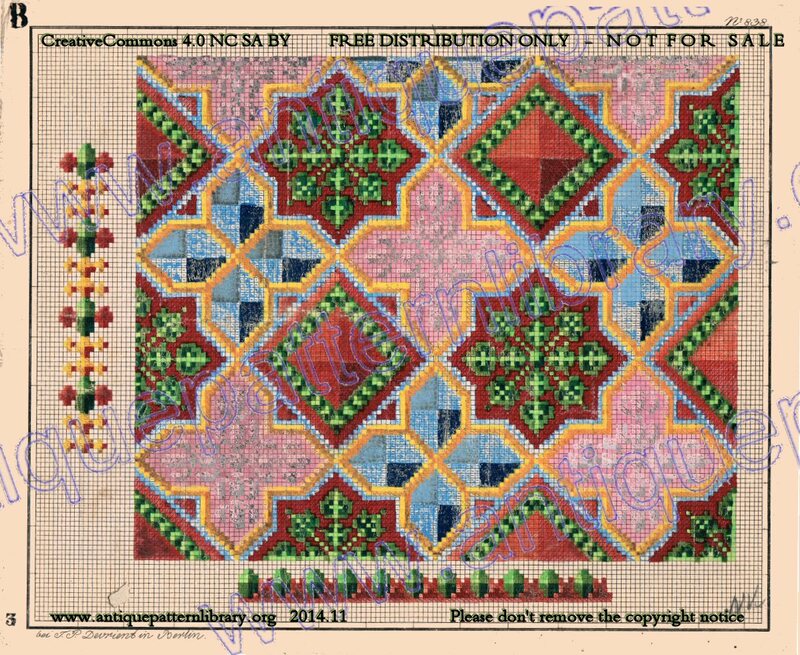 Hand painted charted design for an elaborate multicolor all-over repeat pattern and and two associated borders. Faceted jewel design, in blues, reds, greens, pink, gold, white and grey. Includes modern recharting. Intended for Berlin woolwork, also suitable for cross-stitch, needlepoint, and beading.